This article is useful if the client is reporting Wifi drops and/or slow speeds. 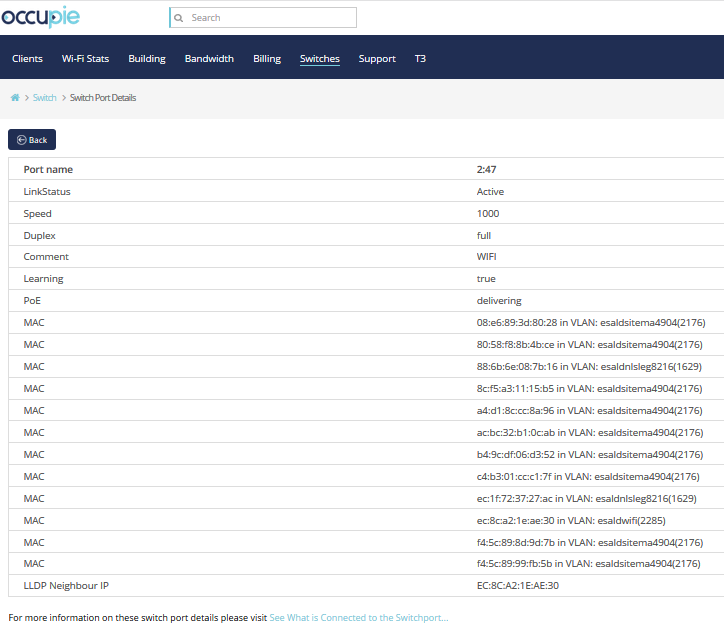 When a client is having Wireless issues, you can see which WAP the client is connected to on Connect, providing they are connected to Wifi. These statuses above should always be the same. They provide an indication of the status of the port. If any of the above does not match to what you are seeing, there may be an issue with the switchport or WAP. Where you see VLAN, this is the name of the clients network that MAC is connected to.